This project was created on 01/20/2014 and last updated 3 days ago. I had a problem today that I&apos;m not sure I can reproduce. In a project log I had a table and then I had some text after it. 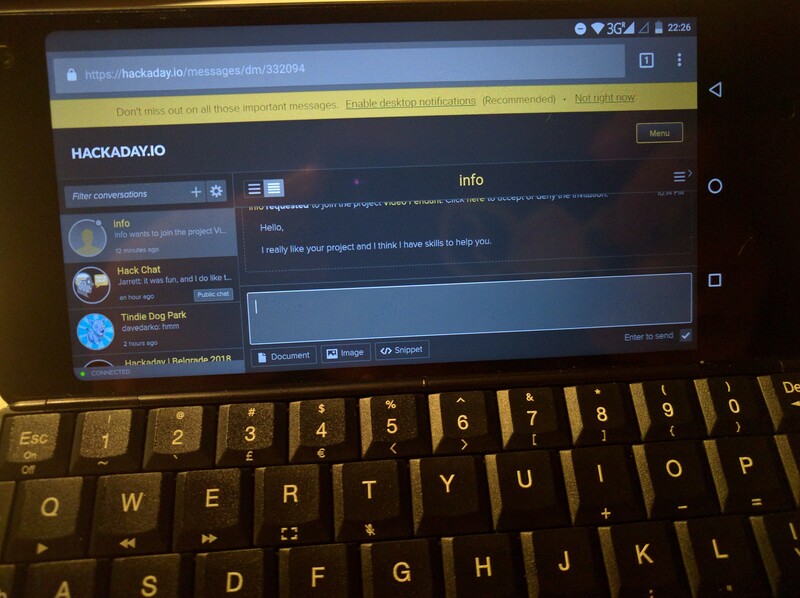 I deleted some of that text and the table went crazy and the text popped up above the table. Undo fixed it. Duplicate images showing up in the project gallery. How to prune them? No delete Icon as far as I can tell. We are looking into this issue, you wont need to delete them. Please support adding embedded iframe gifv&apos;s from gfycat or imgur! I think it&apos;s a lot more concise to see a shorter, looping, high quality video than producing a whole long form youtube video. You can already use HTML5 <video> tags! When I browse "project lists", there are several ways to sort projects inside one list... but the most usefull way to sort is missing : why can&apos;t we select "recently updated" ? good idea, we&apos;ll see to add it. I&apos;ve just seen the feature has been added recently. Thanks for that. 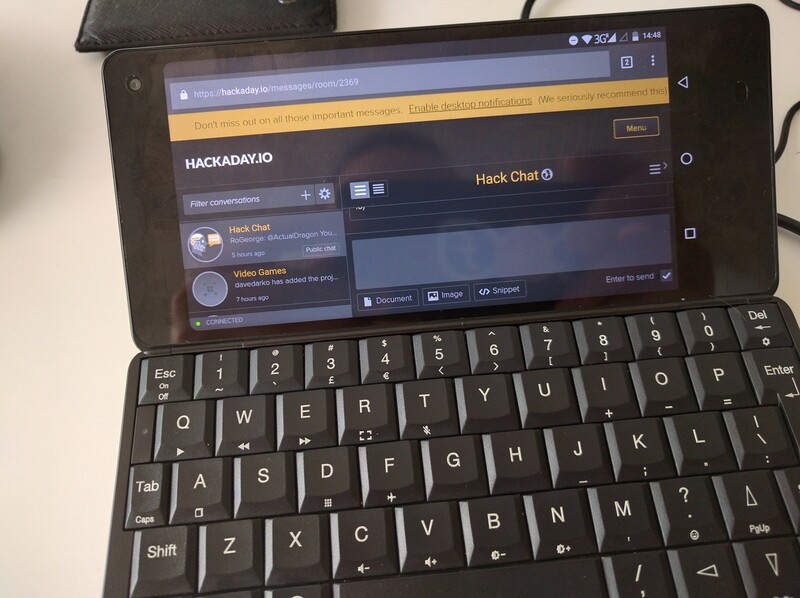 Why doesn&apos;t the Hackaday.io page have links to Hackaday.com content? Hi @Roddy "Rags" Read - Actually it has in "More" dropdown menu as "Blog". Thanks! How can I purchase the 3d Resumer for my printers? If you go to view project log: It shows Sort by "Oldest" on the dropdown, but actually shows"Newest". It won&apos;t show the "Oldest" until you select "Newest" and then "Oldest". Being able to write in Markdown would be a huge improvement! 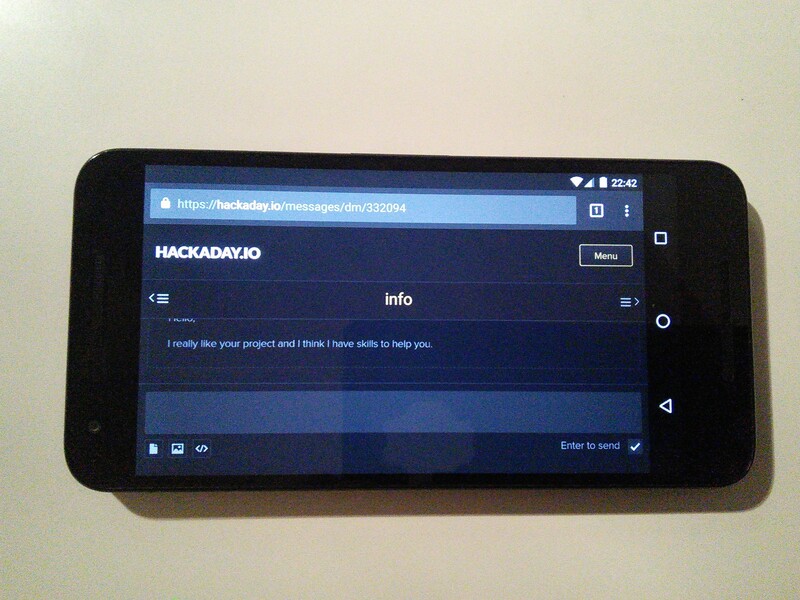 We use markdown on GitHub, GitLab, and lots of teamwork apps, so why not on Hackaday as well? I like the rich text editor, but (at least on Chrome in Linux) it&apos;s still very buggy and difficult to use. Thanks, I like markdown too. We have an ongoing list of issues to take care of with the current editor. Markdown support should be there too. Would donations help you to hire people and get stuff done faster?! I guess there would be lots of people sending you a few bucks now and then to keep this community alive and more bug-free! I&apos;m trying to embed twitter videos in my project logs. The video doesn&apos;t show in the log page. You have to leave and go to twitter... Can the content be more readily available / more on the page? Are you using the embed tweet code? It might be something we have to add in support for. Looks like it has been restored. Thanks! So i have to register an App, consume OAuth and convert JSON to XML to create myself an RSS feed? @mnt well there&apos;s that or a no. Not much to consider. There is… but, it really does not expose the data needed to construct an RSS feed in a meaningful way. In particular, it throws error 500s for seemingly innocent things like getting a list of users sorted by "newest". Oh, that feed is only an xml-view of /feed? Too bad, i always felt that /feed is utterly useless. Who could possibly be interested in every single comment, like or update of any user on HADio? Right now it shows 30 likes of the same person (seemingly on a like spree). i have two account and i want to merge this, but i cant get my username "metover"
Can you message me privately from both accounts. How do I get to see my watched projects? Project log pages keep freezing when I try to edit them. I use Vivaldi browser. Is it a known issue? Would you like more detail? Win 7 pro 64. It&apos;s ok until I enter a cursor and try input anything. just freezes. Same w/ FF. Posted this error some time ago ... latest dev update of Viv still doesn&apos;t repair this issue ... tho it&apos;s isolated to log files only which is good. The notification feed is a mess. I see comments on random projects from people that I follow. But most of the comments on my own projects are not displayed. This is not acceptable. I would gladly follow more people but that would completely flood the feed. Email notifications don&apos;t work as well because the account is connected to Github. Thanks Max, we also have a request for a notifications area (your likes/comments/etc) separate from the feed. Hi! In my private feed, I would like to see updates to the projects I&apos;m following. Currently though, this feed is flooded with random people liking, commenting or following these projects. It would be nice if there was a way to filter this noise out. That would also make it a lot easier to find new projects to follow! One more thing, Hackaday black color background and white text contrast hurts my eyes! If I can afford a lawyer, you may get sue. Can you guy liberate us to change color scheme? At least allow green text in black background. It just hurts. I don&apos;t want to read my stuffs even I wrote it. @Ivan Lazarevic Editing profile, some tags visible on profile are missing on the editing screen, thus uneditable or delete-able. Thanks we are looking at this.